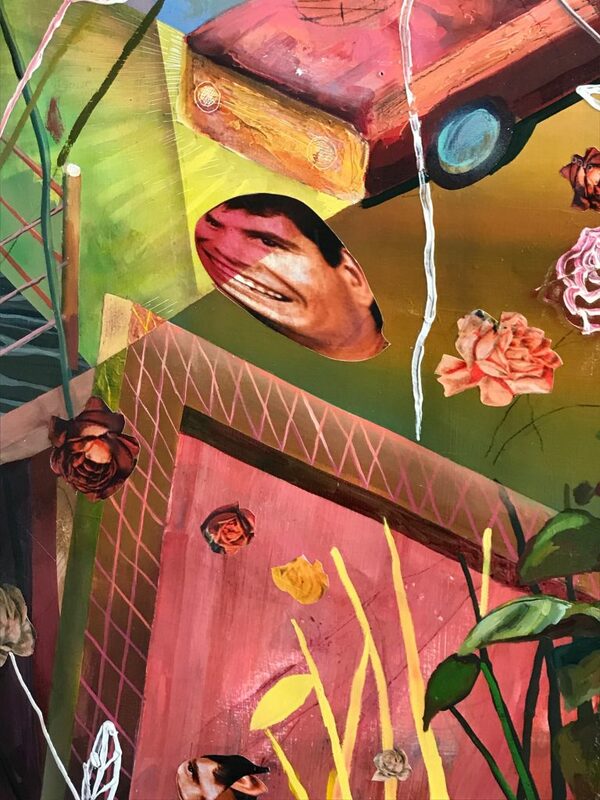 “Among Friends,” detail. 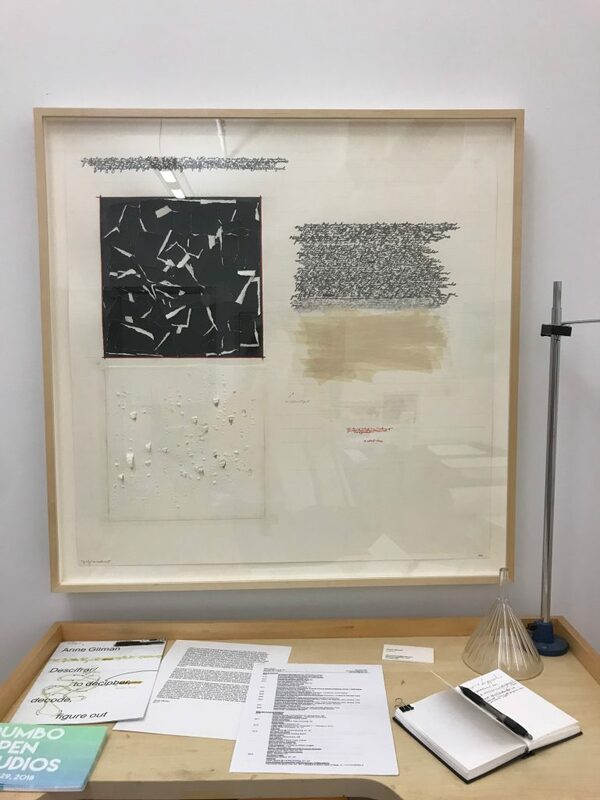 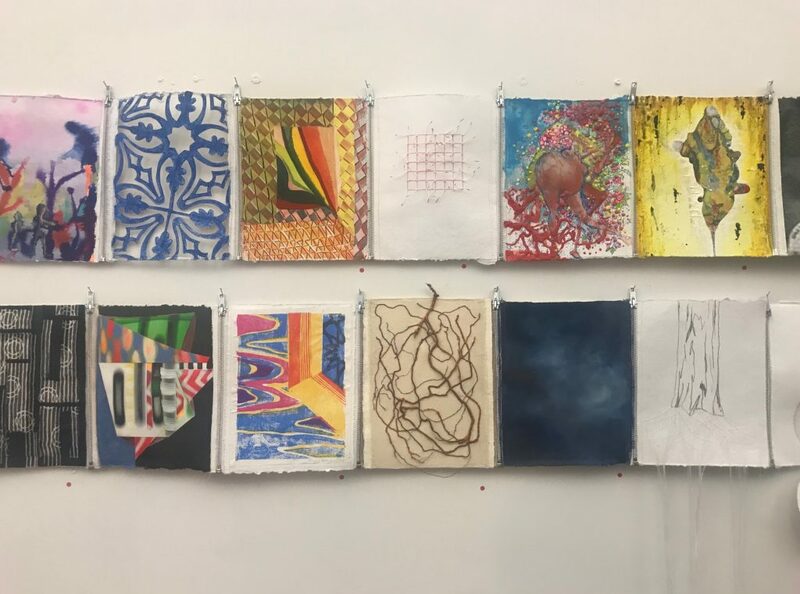 Co-curated by Beth Dary, Alexandra Rutsch Brock, and Patricia Fabricant, the project featured small works on paper by nearly 140 artists, zipped together to create several long scrolls. 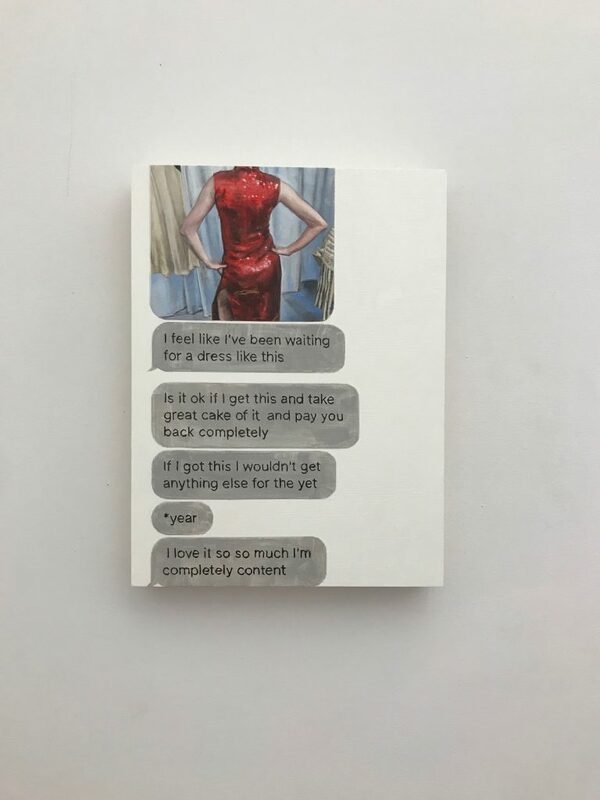 A portion of each sale went to help support Planned Parenthood. 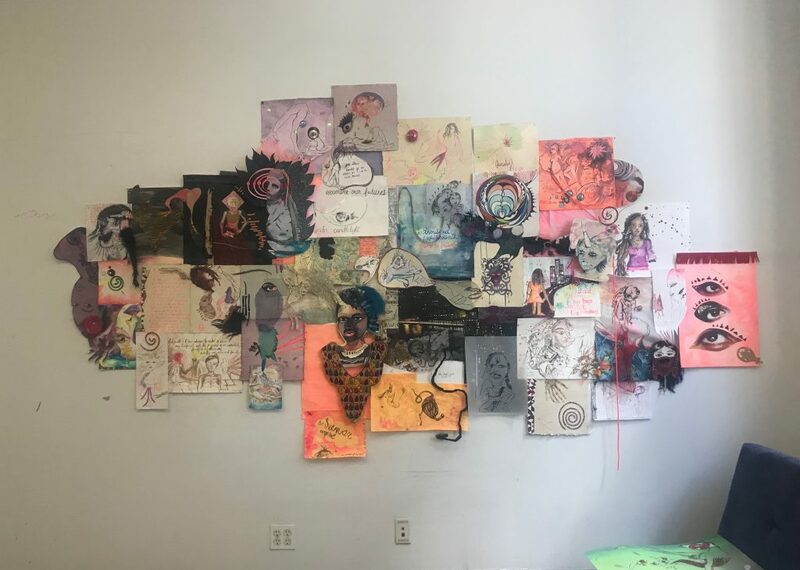 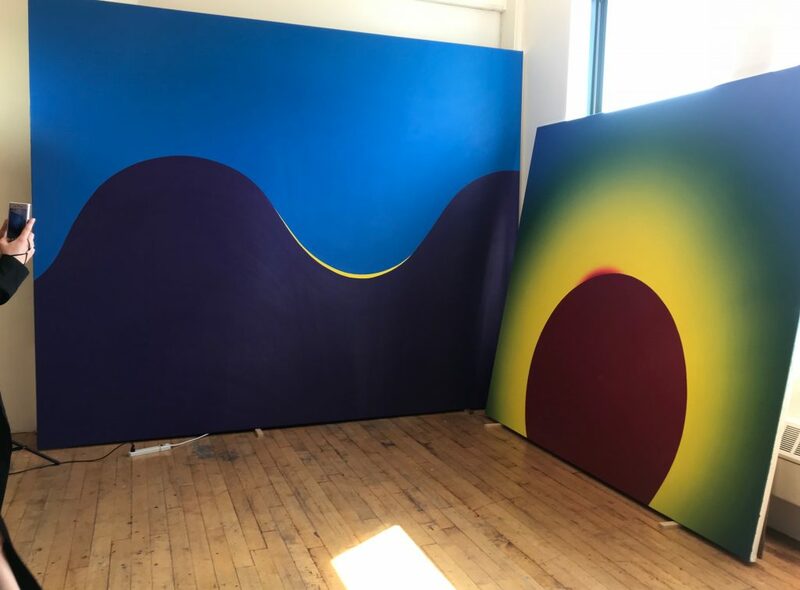 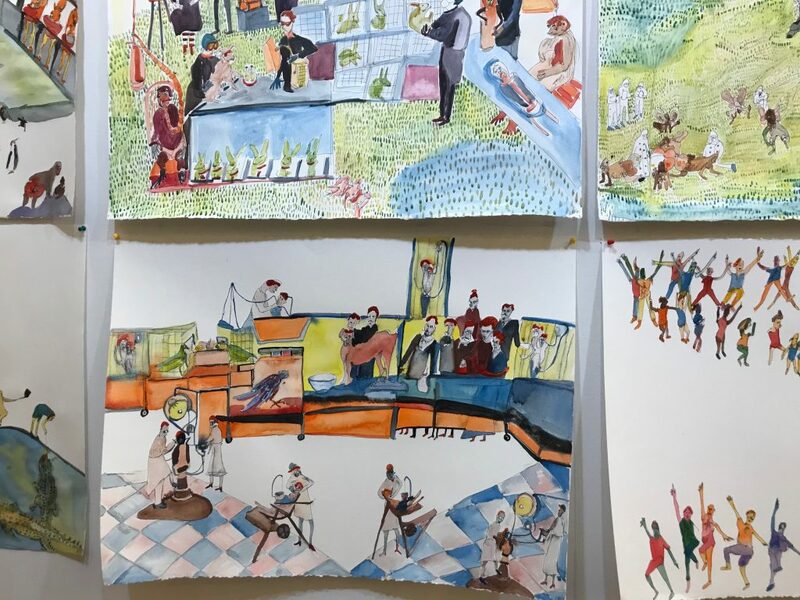 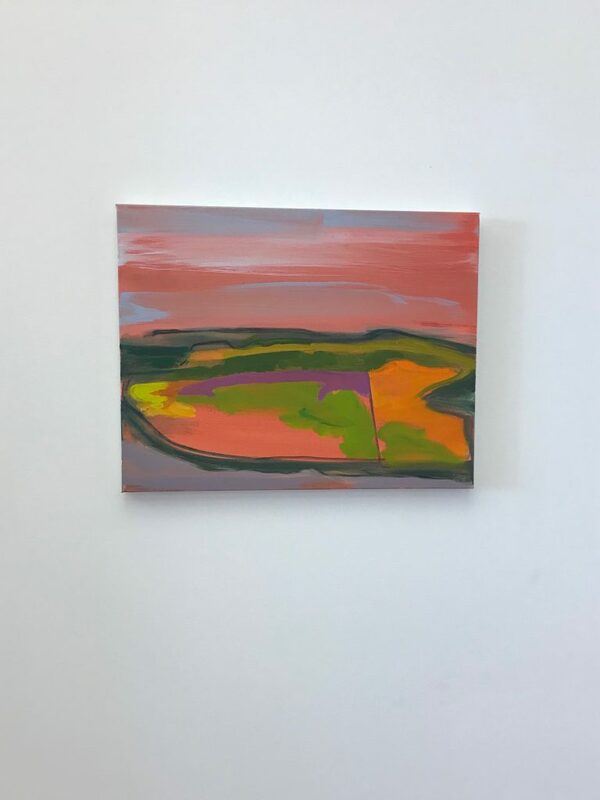 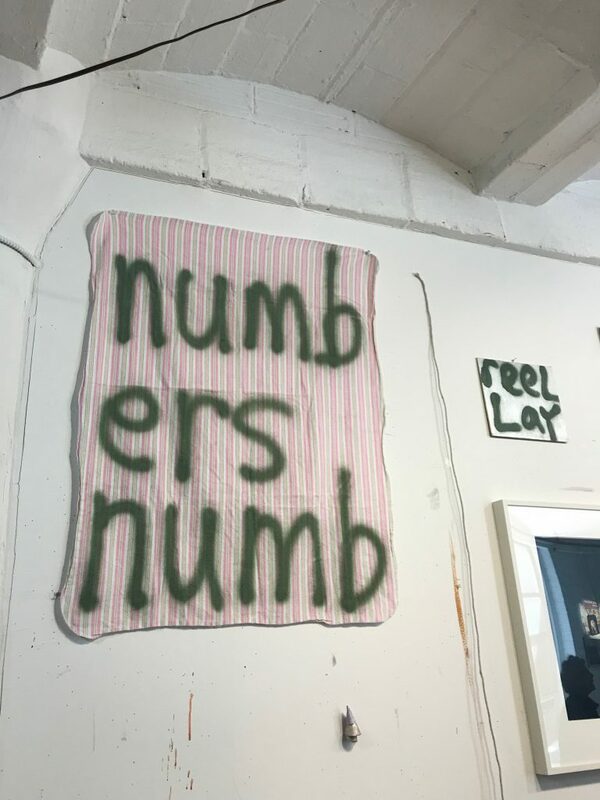 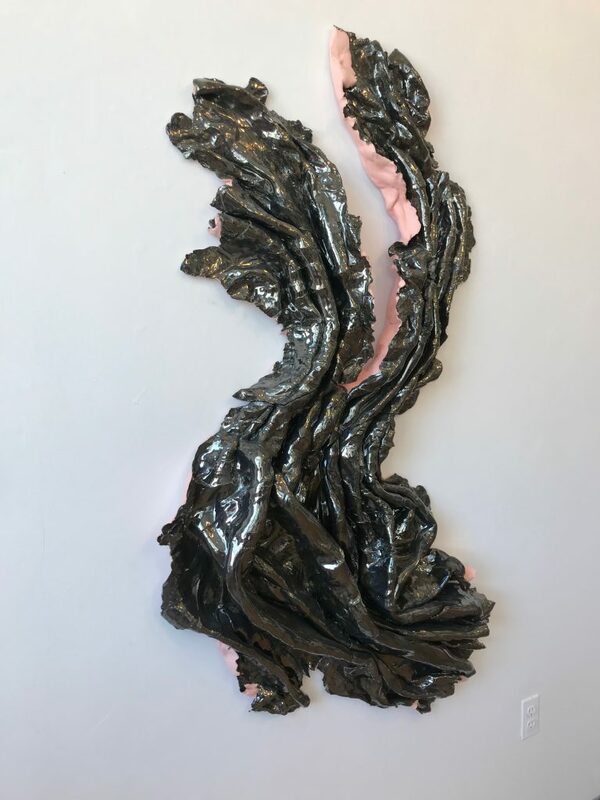 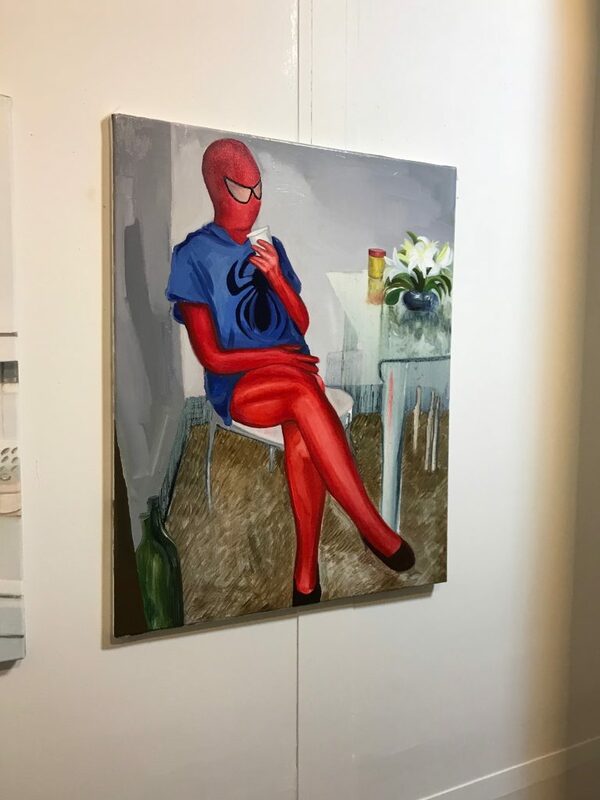 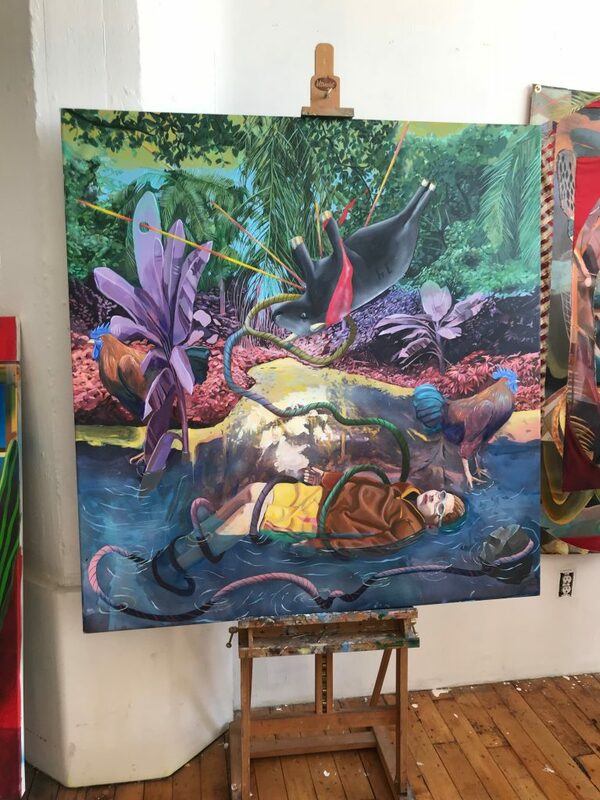 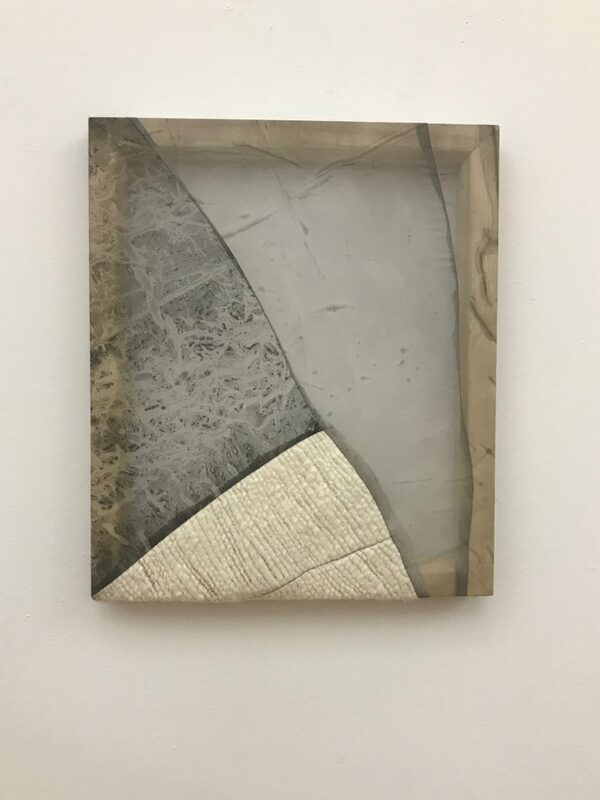 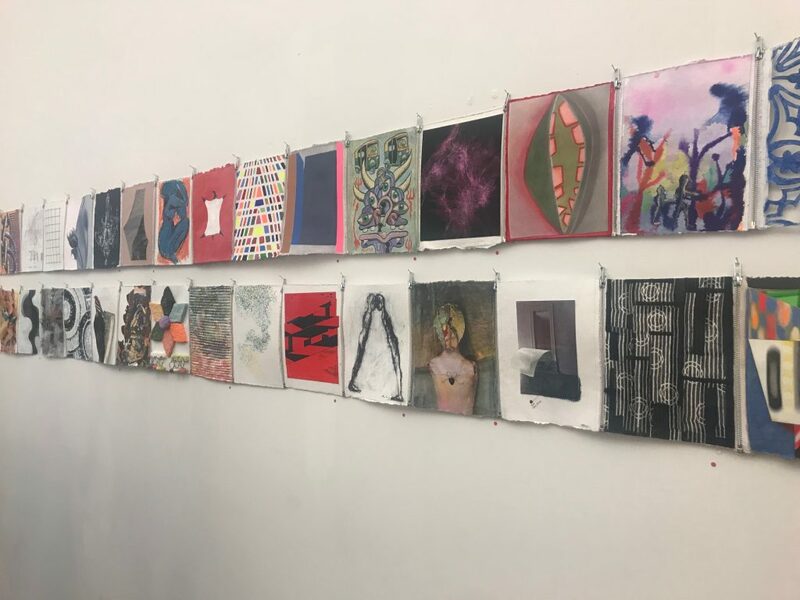 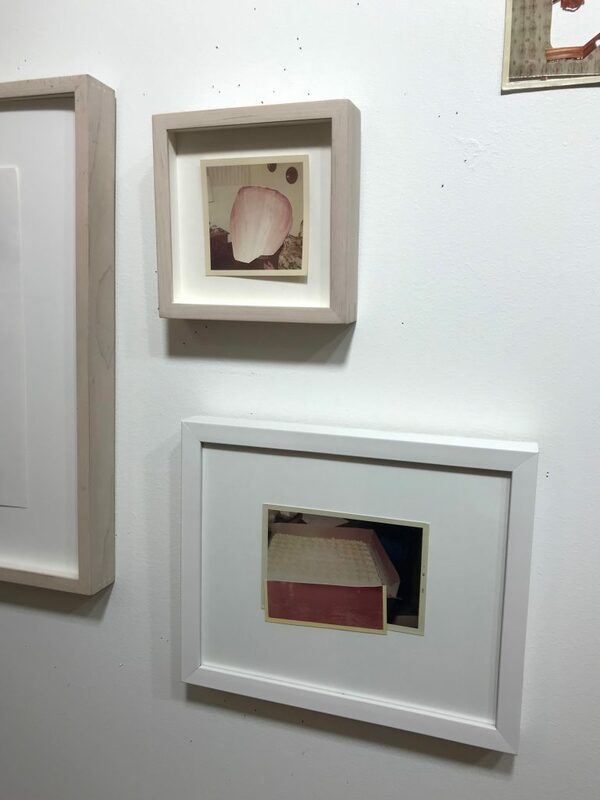 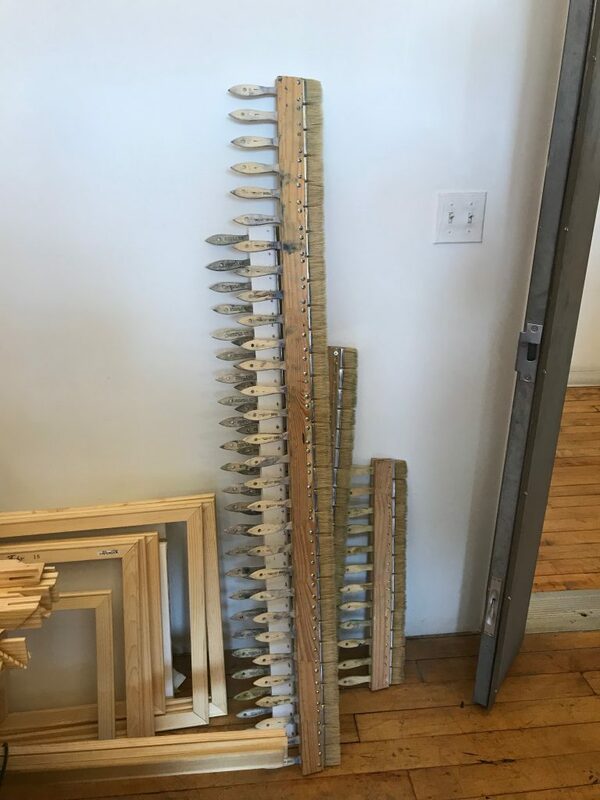 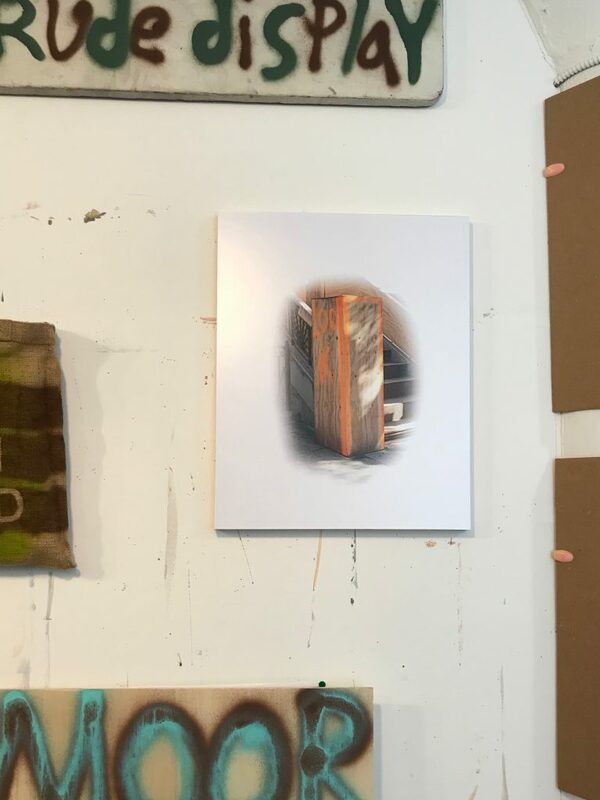 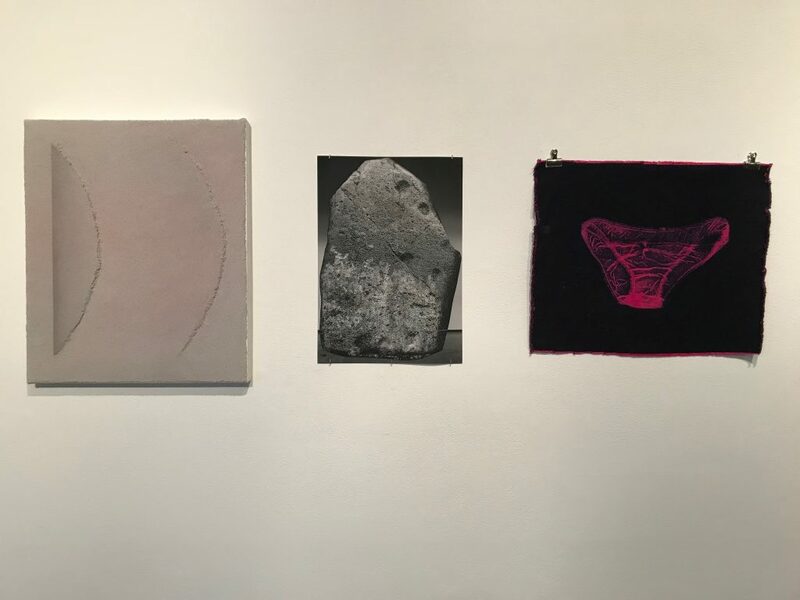 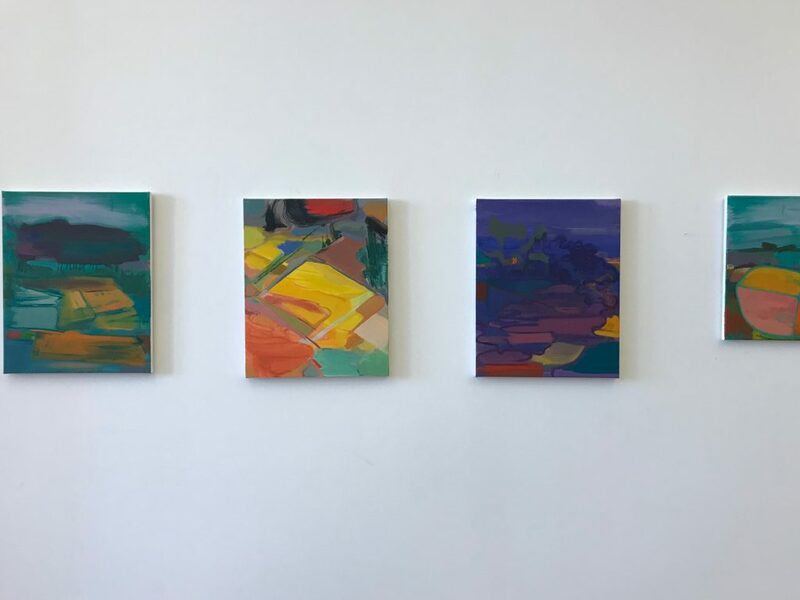 Contributed by Katie Fuller / Dumbo Open Studios afforded me and many others a golden opportunity to catch up with familiar artists and also discover some completely new work. 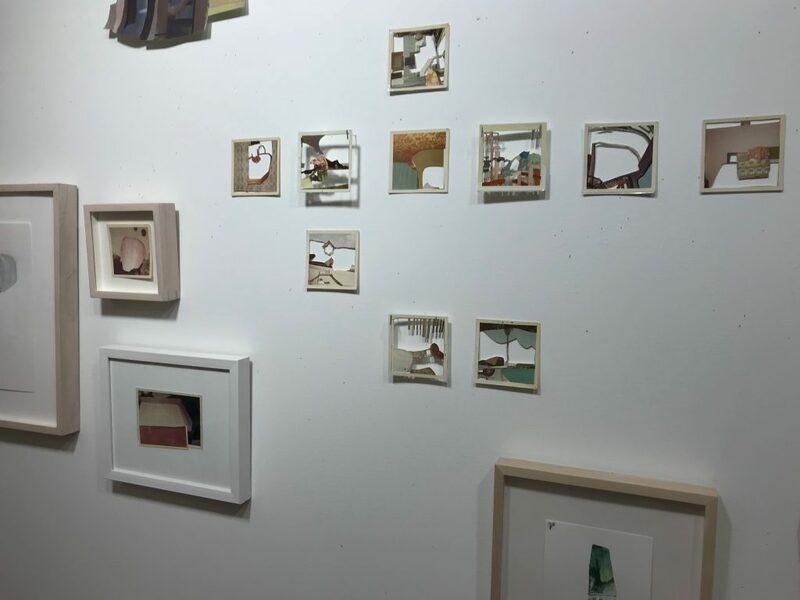 The larger installations ranged from the hive of artists in the Sharpe-Walentas Studio Program and Smack Mellon’s Kentucky Derby Benefit Auction to “Among Friends,” an inventive and widely inclusive group show and fundraising opportunity in Beth Dary’s studio that was inspired by Robert Rauschenberg’s Hiccups. 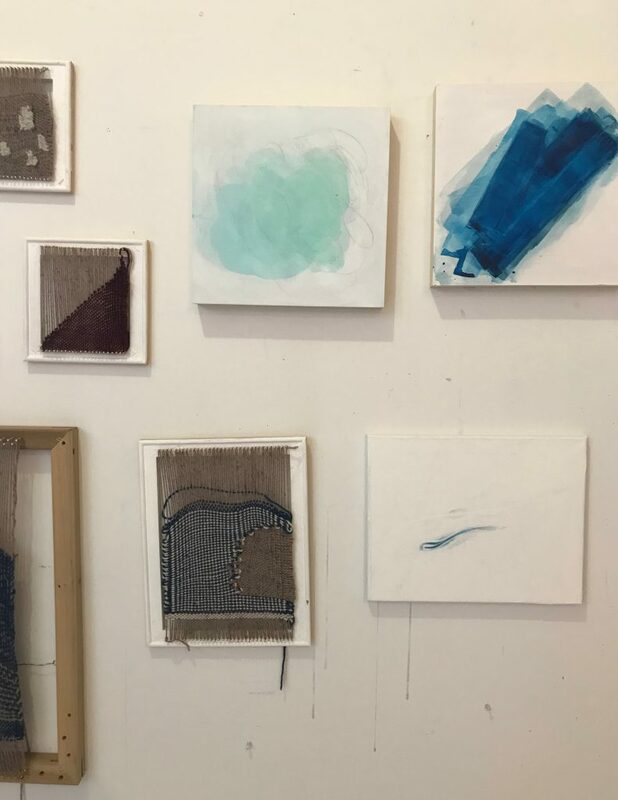 In between, there were many individual artists’ studios, where it was especially gratifying to see works in progress and experience highly personal and customized atmospheres. 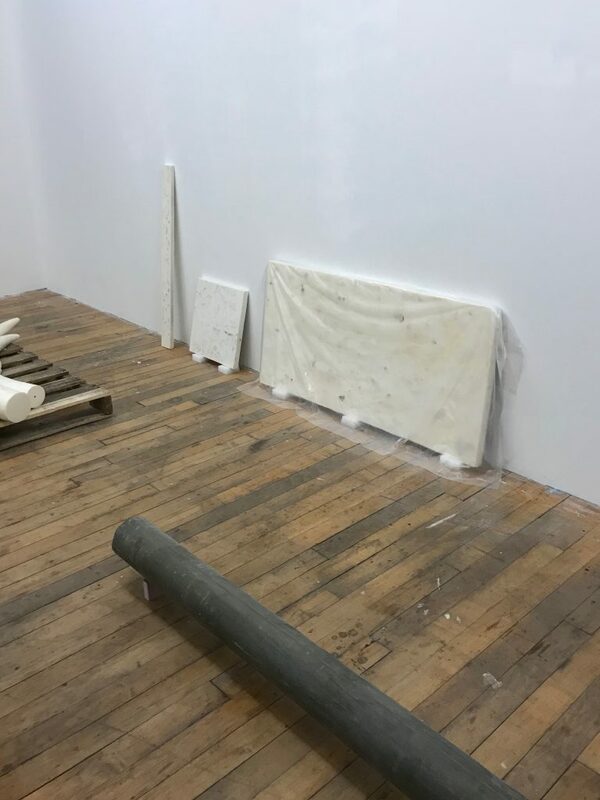 Below are just some of the pieces that caught my eye. 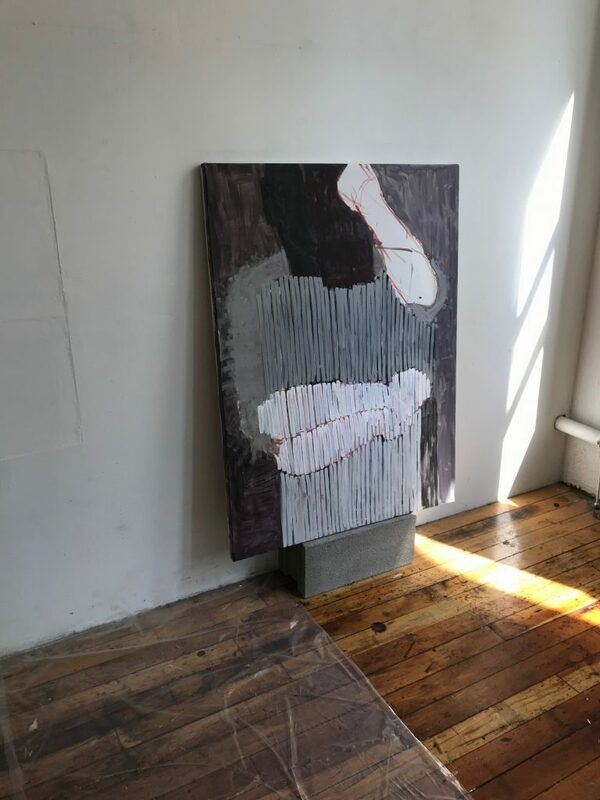 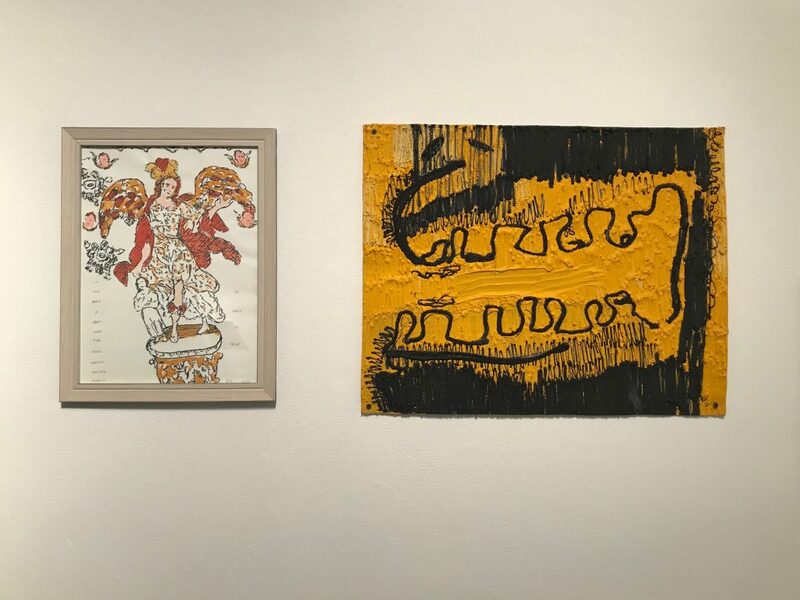 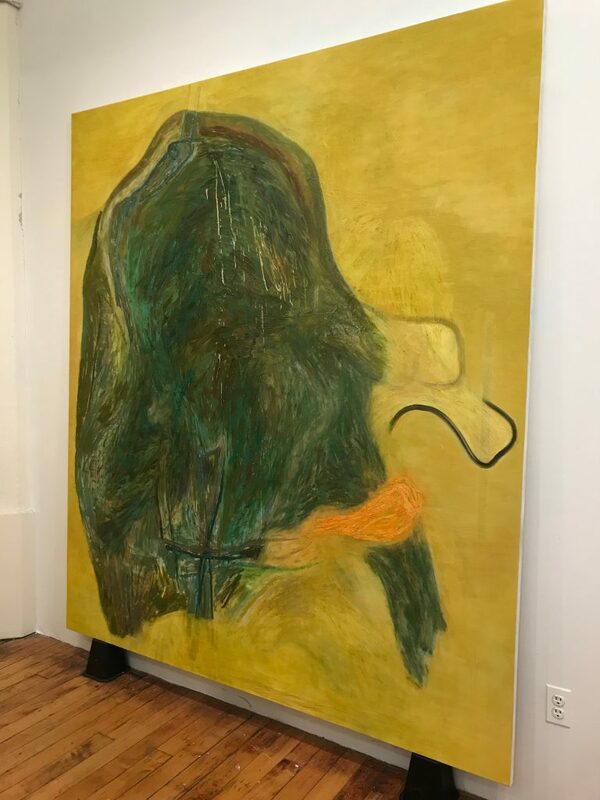 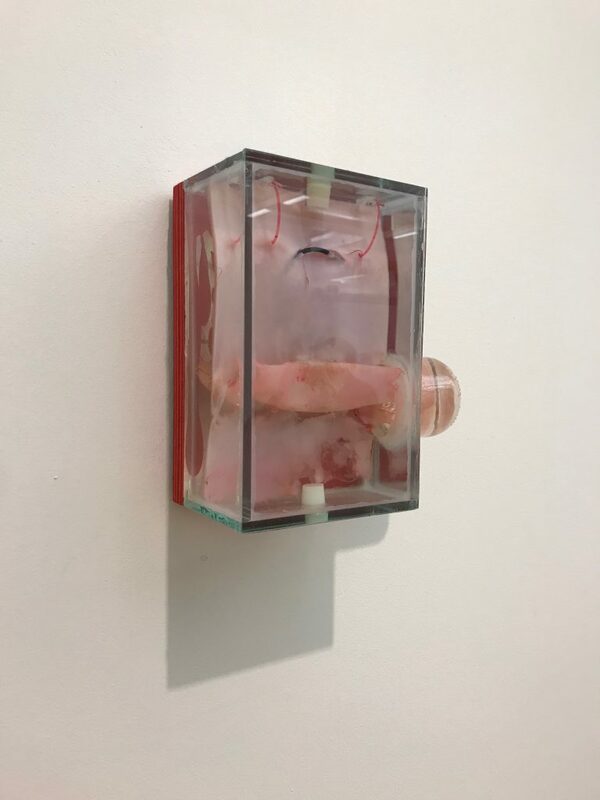 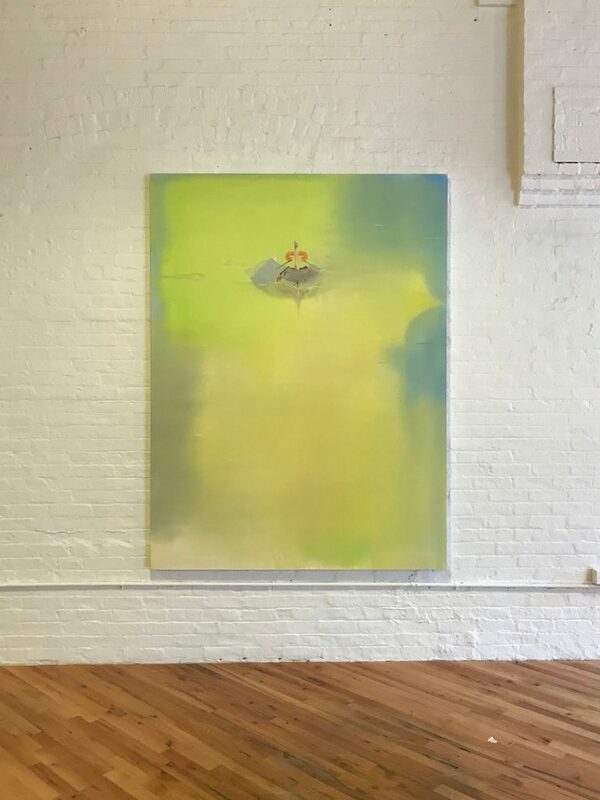 Jennifer Sirey had an exhibition at Platform, Elizabeth Hazan’s new exhibition space that adjoins her studio.